Our great, wide brown land has seen some success in recent times in the NBA world, mainly – well, in all fairness – solely due to Andrew Bogut and his number 1 overall selection in the 2005 draft, but as of recently, NBA scouts have had a carefully trained eyes on a few Aussies. Which lets face it, is a perfect topic for an Australian based NBA basketball blog site. And yes, Aussie’s Abroad was the best title I could come up with for this blog. But I’m not paid to intertwine sophisticated alliteration with basketball based terminology. That’s probably because I’m not paid at all. Either way, lets delve straight into it. Also known as ‘Patty’, Australian’s may already know of his story. The 19 year old freshman lit up the eyes of the basketball world when he scorched the then top 25 ranked Oregon Ducks for 37 points in an overtime victory and lead to numerous articles regarding his indigenous background. But his draft stock – despite his freshman play – isn’t looked at as being high, at least for the 2008 draft, and probably for the 2009 draft. With sub-six foot players, NBA managers really want them to be dominant in either the quickness or athleticism and preferably both. Mills isn’t, and gets by solely because of his natural ability to play the game. But, that natural ability and feel for the game should transpire into at least an NBA chance at some point in the future. Jobba’s draft prediction: 2nd round pick in the 2011 NBA Draft. 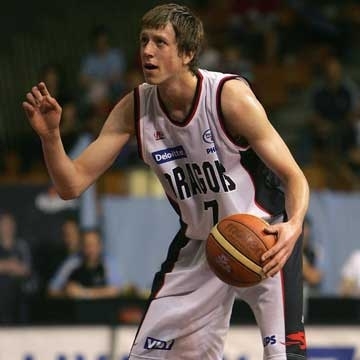 The 2006/07 NBL Rookie of the year got on NBA scouts’ radar when he broke the record for the most points scored on debut for the South Dragons. Ingles is the classic International player, fundamentally sound in every single aspect of basketball. Sadly for him however, he lacks quickness and athleticism – especially laterally. This, and his second season in the NBA was extremely inconsistent. However, Ingles will have a chance to rectify that come pre-draft camp and workout time – assuming he decides to attend. But, being an International player, he may get picked up in the late second round, then shipped off to Europe ala Brad Newly last draft. Jobba’s draft prediction: Pick 50- undrafted in the 2008 NBA Draft. 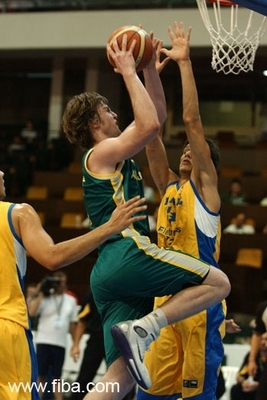 Luke Nevill attends the college of Utah, the same college of Andrew Bogut. However, he obviously hasn’t made the same mark as his predecessor. Nevill is a genuine 7 foot plodder, with average skills, and average foot speed and athleticism. But, there is a saying in almost all ball sports – you can’t teach height. Jobba’s draft prediction: Pick 50 – undrafted in the 2009 NBA Draft. Nebraska University has had some big wins over the course of this season, including against Michael Beasley’s (Jobba pick 2 in the 2008 mock draft) Kansas State, Oregon who were then ranked 16th in college ball and Texas A&M. The majority of success Nebraska has had, is because of Aleks Maric, the 6’11 centre who leads his team in points and rebounds per game, and is one of the few players (in comparison to the actual amount of players) to average a double-double. He’s not overly talented, but works hard, and is the epitome of the phrase ‘not pretty, but effective.’ He probably doesn’t deserve to be drafted on talent alone, but everyone loves a blue collar worker. Especially when they can score from the low block and crash the boards. Jobba’s draft prediction: Pick 50 – undrafted in the 2008 NBA Draft. This is the guy that I imagine works out like Rocky Balboa did in Rocky IV. You know, in like Siberia in minus 20 degree temperatures carrying 15 foot logs on his shoulders with the song ‘Burning Heart’ playing the background. He’s big at 6’10, strong at 280 pounds, and is somehow quick and athletic on top of all that. An almost perfect physical prospect with a better strength and conditioning regime. He seems to be assured of the NBL Rookie of the Year Award, especially he won the MVP for the NBL All Star game this year. But, his main falling is lack of basketball IQ, and natural feel for the game – which would have a lot to do with Jawai supposedly taking up the game at age 15. For an in-depth look at the man himself, stay tuned for the next edition of Hoopcity magazine, scheduled for release sometime in early June. Jobba’s draft prediction: Pick 20 – 45 in the 2008 NBA Draft. Every time I hear this guys name, I think of Andrew Bogut holding a golf club. But either way, Ogilvy is the only Aussie lock to be drafted in the first round should he declare this year. His college team is the Vanderbilt Commodores (Fitting name for a team that an Aussie plays on, much like how Bogut played for the Utah Utes) who are firsly ranked, and secondly, had a Cinderella start to the college season when they won their first 16 games. Ogilvy is a 6’10 combo forward/ centre that is an extremely similar player to Andrew Bogut, except two inches smaller – and with a better mid-range game. His lack of athleticism and quickness makes him more of a centre than a modern Power Forward, which really does hurt his stock. But an extremely skillful tall player – and they don’t come around to often. Jobba’s draft prediction: Pick 18 – 30 in the 2008 NBA draft. Well that’s it from me. The future seems to hold some potentially bright stars for Australia’s basketball future, and least in the short term. Seeya later, and c’mon Aussie c’mon!